Too much cross-talk. and counter-chatter. What is the specified privilege? 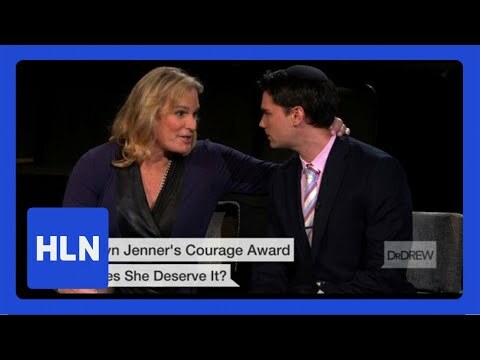 Nichols my friend its no good as Ben Shapiro speaks poorly about Transgenders. Nichols the anti Americans are trying to sell you something bad here. Shapiro can hopefully become more liberal. In the USA all are equal. Democrats and GOP alike do not speak about transgender people as Shapiro does. Shapiros views are anti American the video in the op includes a man with uncivil and dishonorable views. Of course Shapiro can change his ways and then it would be ok to post in favor of Shapiro. To one point made in the Ops video...we can see that there are privileged kids born into rich families all throughout the world. Nichols the anti Americans are trying to sell you something bad here. What are these guys trying to sell that is bad? It was a discussion between four people; why are you only focused on Shapiro? Ben Shapiro's in the right, just for his tone. That he-she, which one is up for debate, threatened him with injury. There's no place for that in adult discussion. Liberals are emotional monsters. They're out of control and attack people who disagree with them. It's why they lose elections, even though everyone in public agrees with them. They might want to make voting polls public, so they can intimidate people. That was a wonderful Type 3 Leftist response by Zoe. Stop debating, and in this case threaten the hell out of you opponent. Shapiro was being a bit of an @$$ there, no doubt. His position was an in-your-face one, but he wasn't being irrational or out of line with his statements. I'd have loved to see what the response was to him calling transgender "transition" nothing more than genital mutilation and cosmetic surgery. Inflated egos whose opinions wouldn't matter to anyone if there weren't millions of people in search of confirmation bias. I still wonder why anyone cares about what other people do to their body. Somewhere along the way the right wing forgot the meaning of respect and freedom. Personally, I don't have to like or agree with what you do to respect it and defend your freedom to do as you wish. A foreign concept to right wing authoritarians. I don't so long as you don't expect me to be part of your fantasy world as a result. Therein lies the problem. Too many of transsexuals, and others on the Left in particular, expect me to politely be part of their delusions and get upset when I refuse. Please don't feed the troll. What he posted has nothing to do with the OP. That was a wonderful Type 3 Leftist response by Zoe. Stop debating, and in this case threaten the hell out of you opponent. Please don't feed the troll, that video he posted has nothing to do with the OP. Look at the video in the OP. The troll posted a video that has nothing to do with the OP. I am interested in what you think about the video in the OP. If somebody came up to me in a discussion and said "Check your privilege..." I'd say "What the F... does that even mean?" For me, I'd let the idiot dig themselves into a hole they can't get out of. I almost certainly would have the advantage having bothered to read the idiocy of people like Tom Wise and others on White Privilege. I know what their argument is likely to be. That makes it easy to sucker punch them with counter arguments that they've never heard of or are prepared to deal with. You don't try to apply logic to their argument, because it won't work. You need to take the Left's arguments in a totally different and unexpected direction. Lead them deeper down the rabbit hole they started. Makes sense to me (I watched the vid so...) and while it isn't a priv specific to the Far Left, they should be the ones catching the heat because they spend all their time denigrating the people who came before us and every previous decade is just a horrible parade of injustice and evil .... to them. Hatred of one's own nation is, as I have said, a requirement for the Dems today, since that party is lead by fringe kook extremists. "Yeah, you know, F this country. Its a terrible place and it continues to be a terrible place and we have to make it not a terrible place by abandoning the central values that allowed me to be a 29 year-old bar tender from Queens that becomes the most celebrated Congressperson in America." Everything is relative. Of course everyone from this generation is more privileged than generations past. But, compare different people of this current generation and there are certainly those more privileged than others. Being a majority in a tribal society is a privilege. Being born rich is a privilege. This is not to say that only certain groups can succeed, but I don't see the point in denying the head start or advantages afforded to some. But, life and success is what you make it. If we stop judging other people these privileges would start to fade away. For Ben to say that no one in America has any burdens to overcome shows how disconnected the right is. They just don't realize what other people have to face. Which goes to show how privileged they are.